Peacock Pad Blue/Green Hairy. 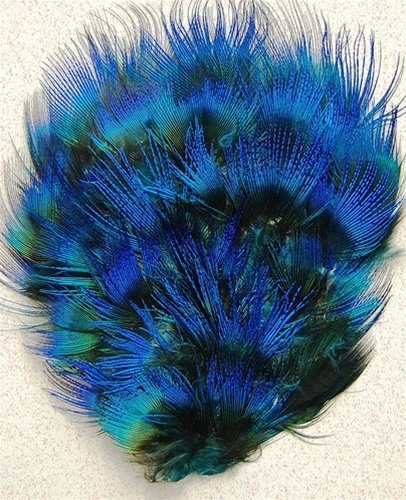 A Beautiful pad made from the Peacock Bird. A very popular pad for Millinery, Headbands, Crafts and other various acsesories. Sold by the DOZEN only.